We are serving as a autumn menu: two tone ken made of Dark elm wood. Part of ken is core wood the other is sap wood. I made thinner sarado for better gunslingers. I invited Kaydama chef Jamie to help me with the tama. 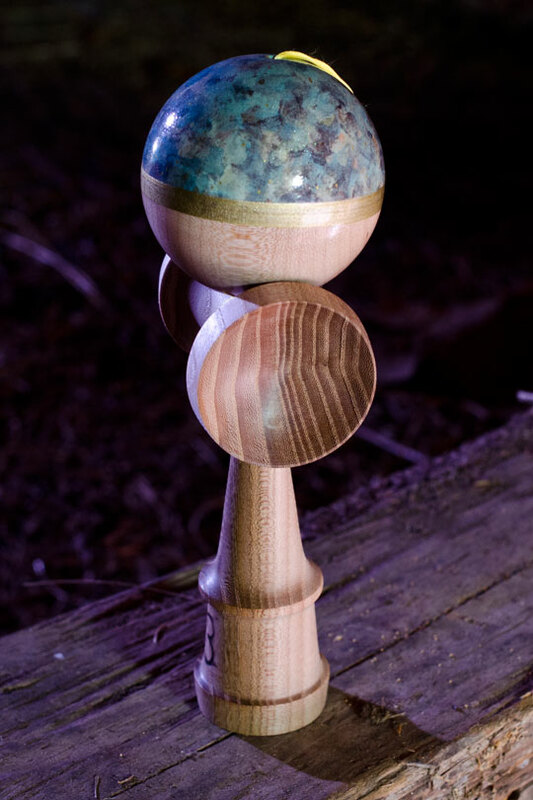 He hand painted our maple tamas with his signature design. Tama is connected to ken with yellow silk string and on top of that we used spinner instead of a bead. We are serving this menu in hand sew coffin shaped bag packed in elm filings. 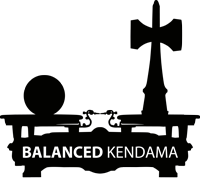 Overall weight: 134 g. Ken weight: 66 g. Tama weight: 68 g. We will made only five kendamas.